I have been making bead and wire jewelry in one form or another for ten years. 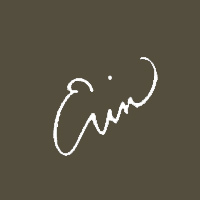 In 2006, I opened an Etsy shop at www.ergodesign.etsy.com. Ever since, I have been developing my individual style. 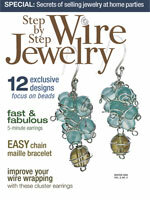 My technique of coiling wire around small 4mm beads was featured in the Winter 2008 issue of Step by Step Wire Jewelry magazine. I use this technique, which I have come to call "spiral wrapping", to create a variety of styles of earrings, bracelets, and necklaces. In addition to the spiral wrapped styles, I like to use wire in other interesting ways. For example, some earrings feature shaped wire that has been flattened with a hammer. I look for quality materials for my designs; materials that will last so that my jewelry can be enjoyed for many years. My new Special Occasion collection was inspired by the jewelry I made for my bridesmaids for my recent wedding. I was known as Erin Sibley up until I married Tim Posey in August, 2008. Tim and I live in Richmond, VA with a house full of cats. The cats in no way like to play with beads that fall on the floor! Thank you to all of my current and future customers! I love what I do, and with your support I can continue to do it. Happy shopping!